Reading Eagle Co. building in Reading, Pa. 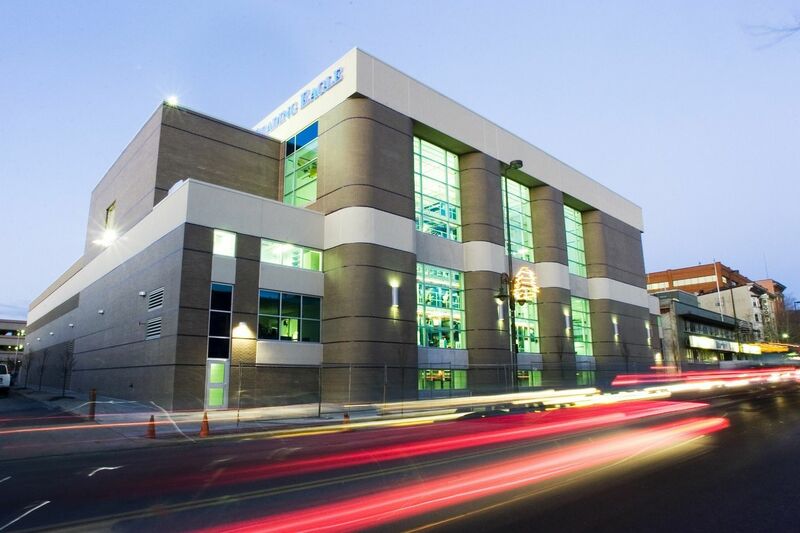 The Reading Eagle, partly owned by two of the richest families in America, filed for bankruptcy protection Wednesday afternoon as the local-news industry continues to be battered. Peter D. Barbey, chief executive officer of the Reading Eagle Co., disclosed the news of the filing to the staff Wednesday. The company is expected to continue to publish the 37,000-circulation daily and 50,000-circulation Sunday Eagle and operate other parts of the company as it seeks a buyer. The Reading Eagle Co. also owns the WEEU-AM radio station, the weekly South Schuylkill News, and the event-promotions firm Pretzel City Productions, employing 236 staffers in all. The Eagle’s filing is the latest distress signal for newspapers and the news industry in eastern Pennsylvania, with the free tabloid Metro laying off most of its Philadelphia reporting staff two weeks ago, and Spirited Media disclosing this month that it would sell its online news site Billy Penn in Philadelphia. The Eagle was founded by Jesse G. Hawley and William S. Ritter in 1868 and has been owned by Hawley’s descendants since then. In the 1950s, author John Updike worked several summers as a copyboy at the Eagle and also wrote several feature articles. Eagle employees were informed Tuesday that there would be a meeting Wednesday afternoon at the newspaper building. "People knew that something like this was coming,” said one employee, who described the mood as glum but requested anonymity because of not being authorized to speak to the media. The company retained the media broker Dirks, Van Essen, Murray & April to find buyers. “Our employees have worked very hard to support our company and our community,” Barbey said in a statement. “The family is incredibly grateful." According to court documents, Barbey and members of the DuPont family own minority stakes in the Reading Eagle Co. In 2015, Forbes magazine ranked the Barbey family as the nation’s 48th-richest, worth $6.1 billion. The fount of the family’s wealth was jeans and other clothing manufacturing. Peter Barbey, through his Black Walnut Holdings, bought the Village Voice in New York City in 2015, the New York Post reported. Barbey shut down the iconic weekly last August.